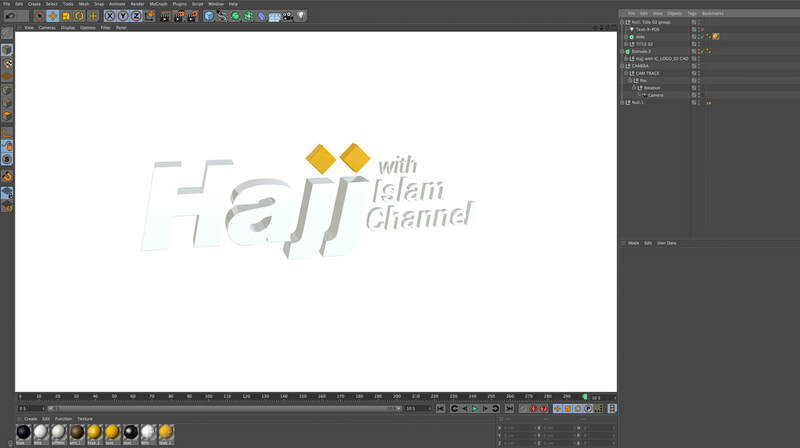 'Hajj with Islam Channel' was a daily live show running during the Hajj period. 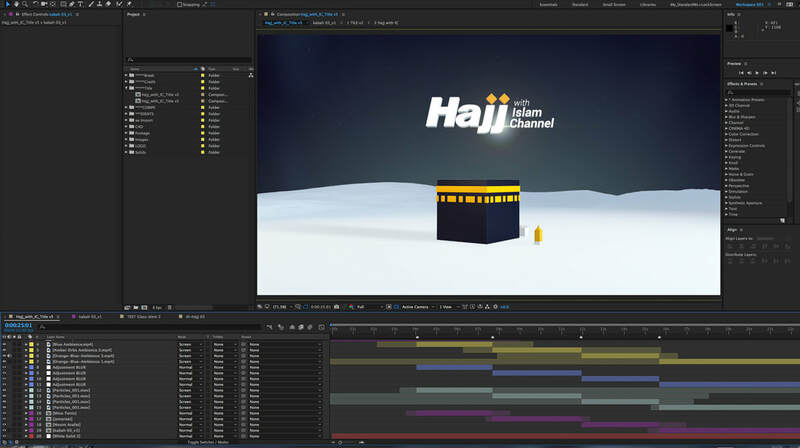 The show covered the pilgrimage of The Hajj which is an annual holy event in the Islamic calendar and holds great value to the followers of Islam. 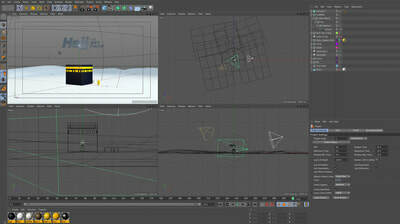 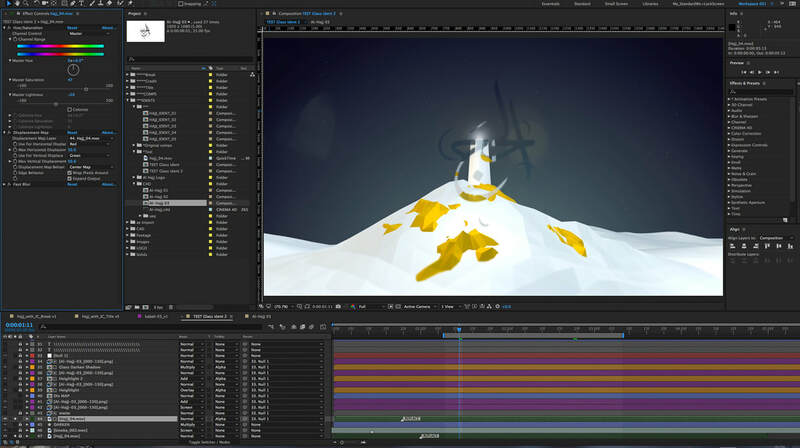 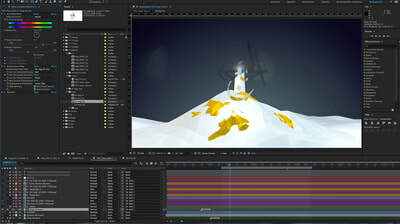 At the time of beginning this project I had some knowledge of using the Cinema 4D (C4D), and not so familiar with the use of Cinema 4D Lite (C4D Lite), the limited version (limited access to features) of C4D packed into After Effects CC. Therefore, the approached to the project was experimental and enabled me to investigated the use of C4d Lite in creation the 3D graphics. 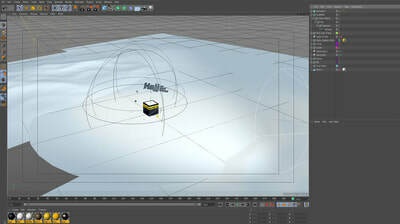 The focus was on setting up simple camera rigs with a few Null Objects for camera movements. 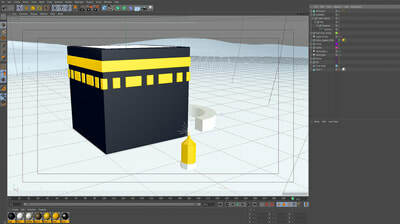 Modelling low poly scenes with the available rudimentary modelling techniques and lighting the scenes. 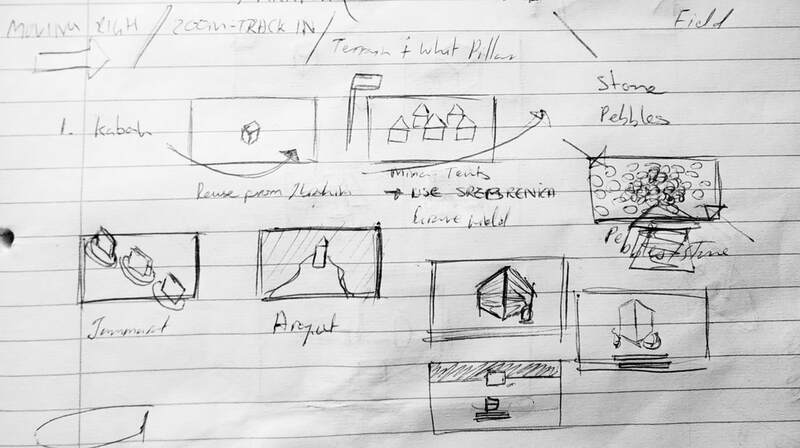 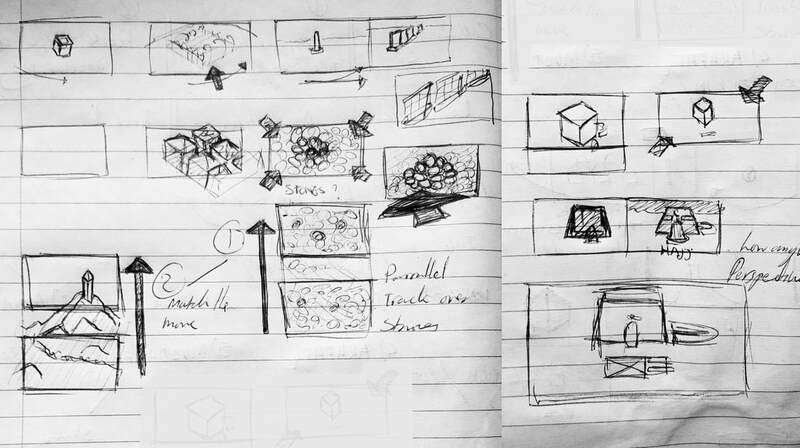 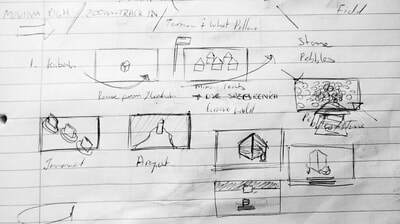 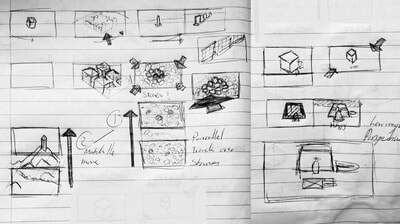 After looking into the various stages of the Hajj pilgrimage I quickly sketched ideas and rough storyboards before moving onto the animating. 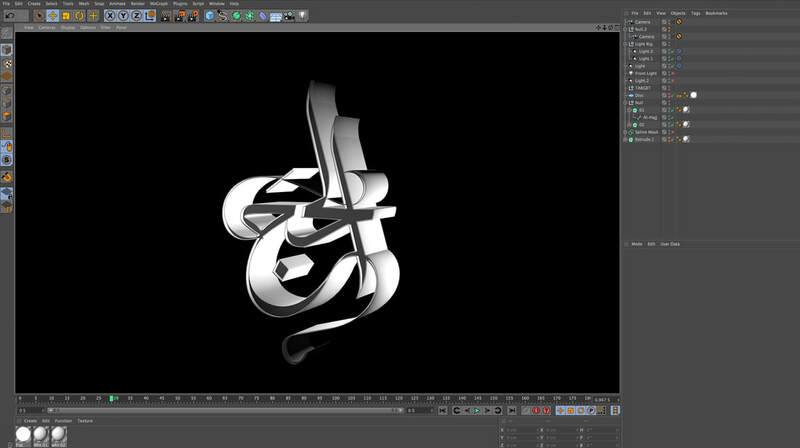 The end results were pleasantly surprising. I was surprised to find that even with the restrictions of limited features imposed by C4D Lite, I was yet able to build a decent 3D project. Hajj with Islam Channel_TitleBumper from Dawud Ali on Vimeo. 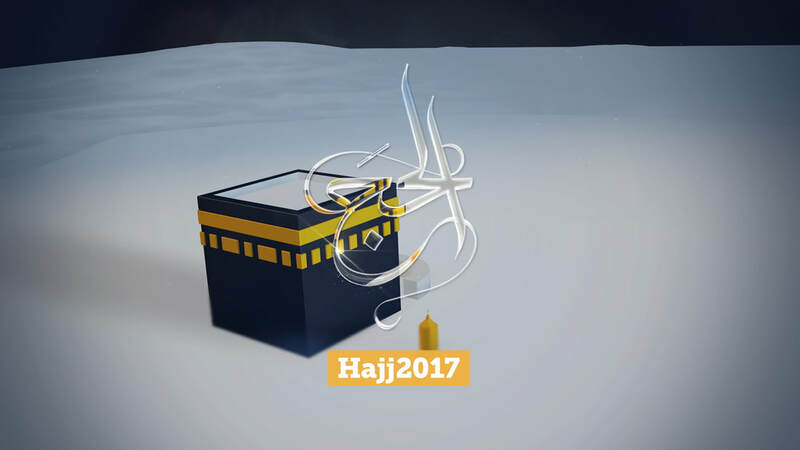 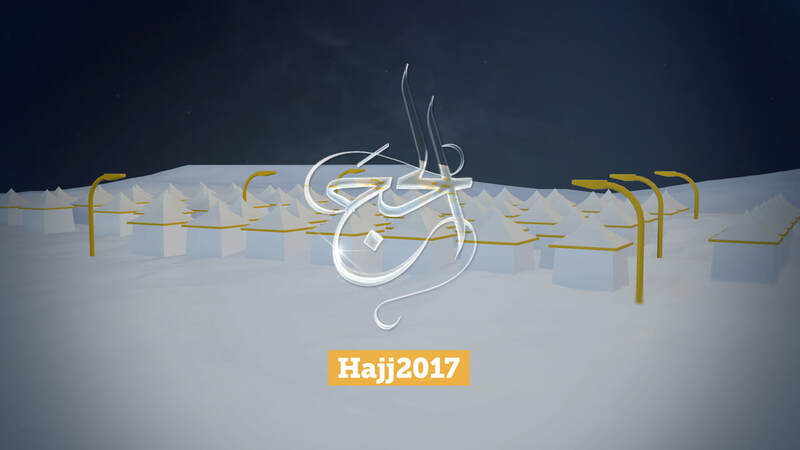 Title bumper created for the programme, Hajj 2017. 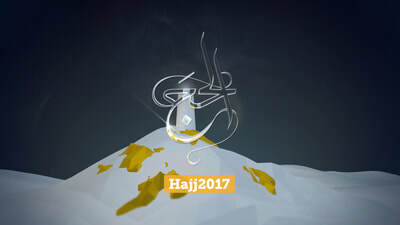 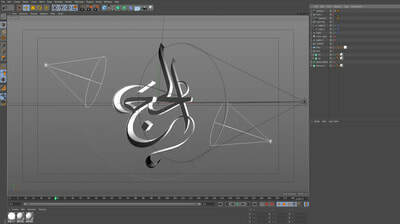 Hajj_Idents from Dawud Ali on Vimeo. 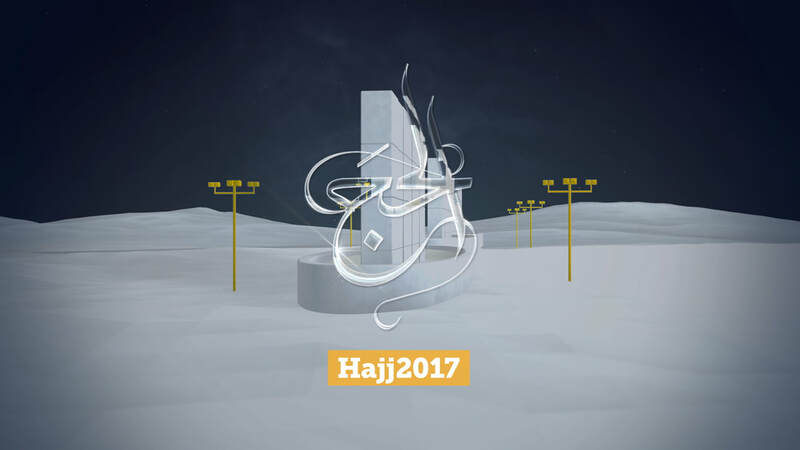 The shots from the title bumper were reused as 5seocnds Idents to promote the Hajj period and tie in with the Hajj with Islam Channel Show. The glassy overlay spells 'The Hajj' in Arabic. 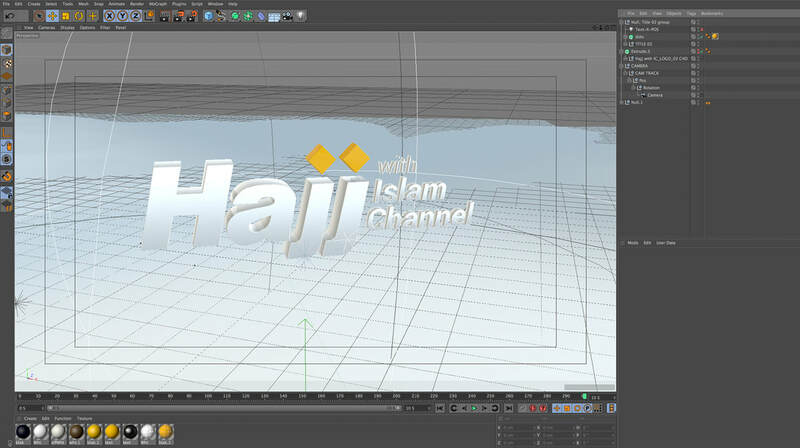 For the glass overlay I imported the Arabic Hajj vector in C4D Lite and extruded it and then set up a two lights rotating around it to animate the shadows and highlights. 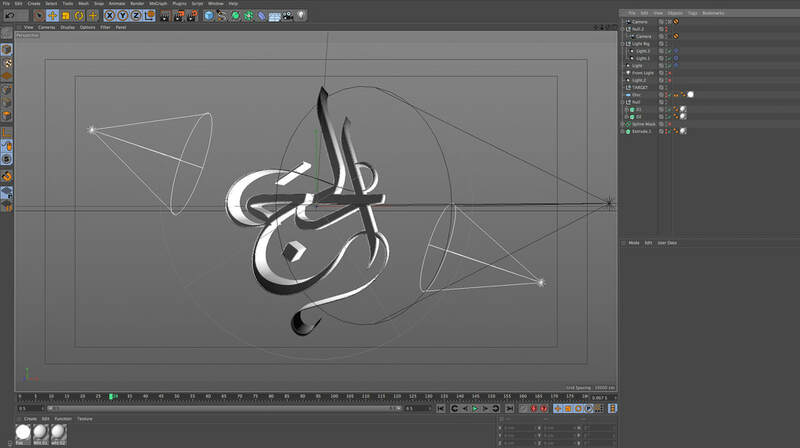 This was used as to create a displacement map in After Effects and I also found ways to ‘round out’ and separate the shadows and highlights, which where composited over the displacement image with different blend modes to create the look of bevelled glass. 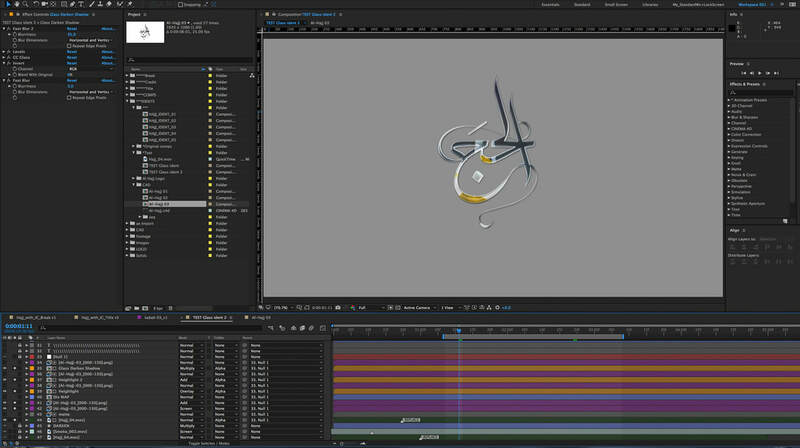 Originally I intended to subtly animate the logo in some way but the static logo seem to work stronger for the short clip. 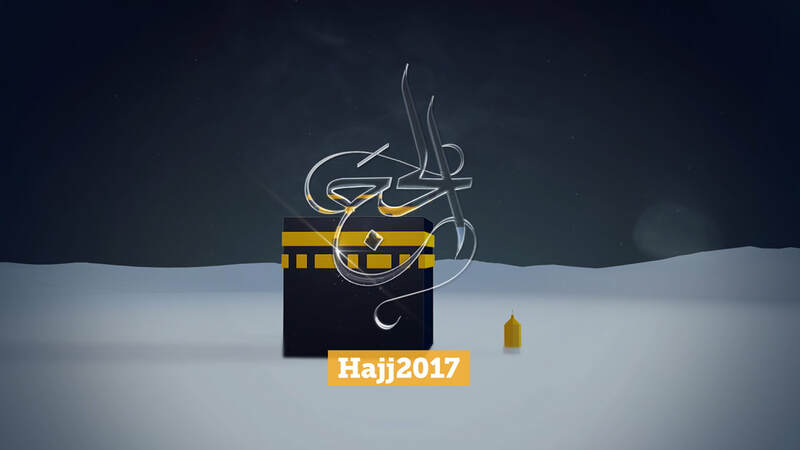 Hajj Endcard from Dawud Ali on Vimeo. 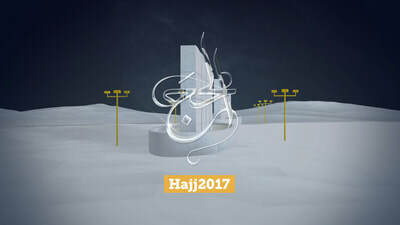 The Hajj Endcard was attached to the end of promotional content of TV programming related to Hajj. 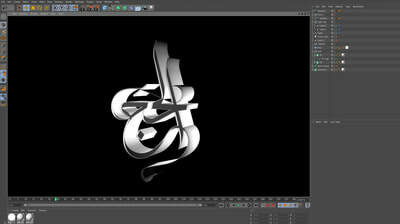 Followed by example of how it transitions over.